Escondido, the hidden valley of Boquete! The wait is over - tickets are available now! Tickets are available online starting on August 15! The wait is over! 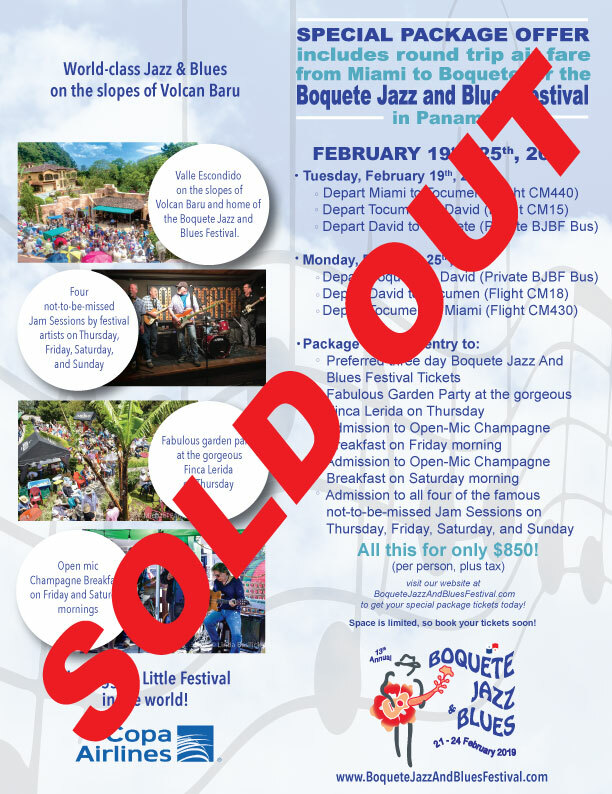 Your carriage may or may not turn into a pumpkin at midnight, but you can purchase your tickets to the 2019 Boquete Jazz and Blues Festival! Make plans now to join us for the "biggest little festival in the world", featuring performances by The Phantom Blues Band, Joe Louis Walker, Silvan Zingg, Matt Schofield, and many, many more. February 21-24, 2019. 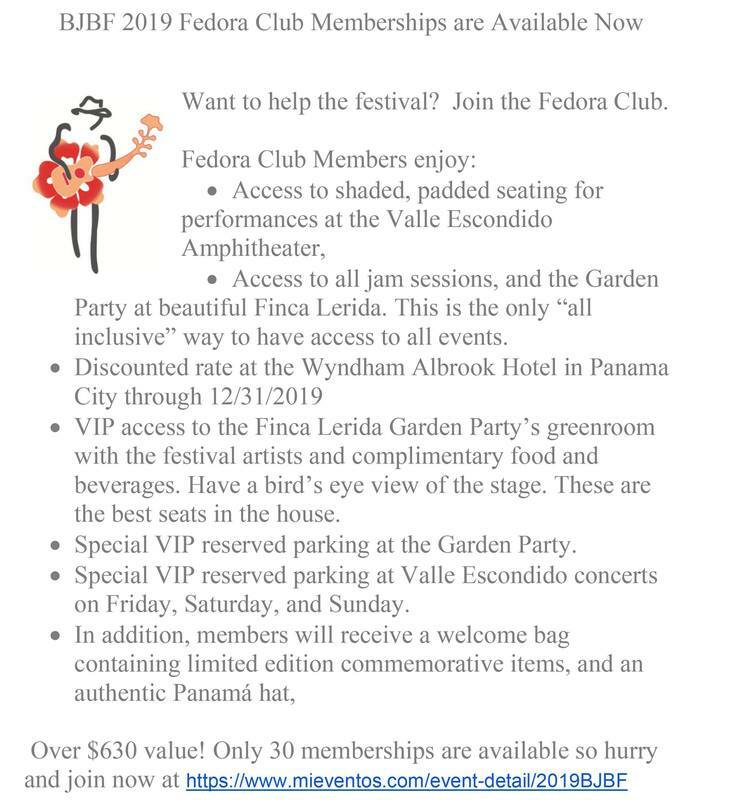 General Admission and Preferred Seating 3-day passes, Fedora Club Memberships, and Garden Party tickets can be purchased online at www.mieventos.com/event-detail/2019BJBF. All ticket prices are set to increase as of January 1, 2019. Please check actual ticket prices at the Mieventos link shown above. Be sure to watch this site as well as our facebook page for up-to-date information. Please print the receipt that you will get via email and show it at the festival ticket booth where you will get your wristbands for the event. If you haven't done so yet you may sign up for our newsletter and/or facebook group at the bottom of this page. We also recommend to frequently check our facebook page for up-to-date information.